On Monday, Fox announced that "Empire," arguably the biggest ratings hit of the year, would be expanding to two parts next season. The first part will take place in the fall leading up to a big cliffhanger before taking a hiatus and returning in the spring. The series will also add episodes, going from 12 to 18. Both parts of the hit musical drama's second season will take place during its normal time slot of Wednesday at 9 p.m.
"We'd be crazy to move it," said Fox Television co-chairman Gary Newman about a potential time change for the series. 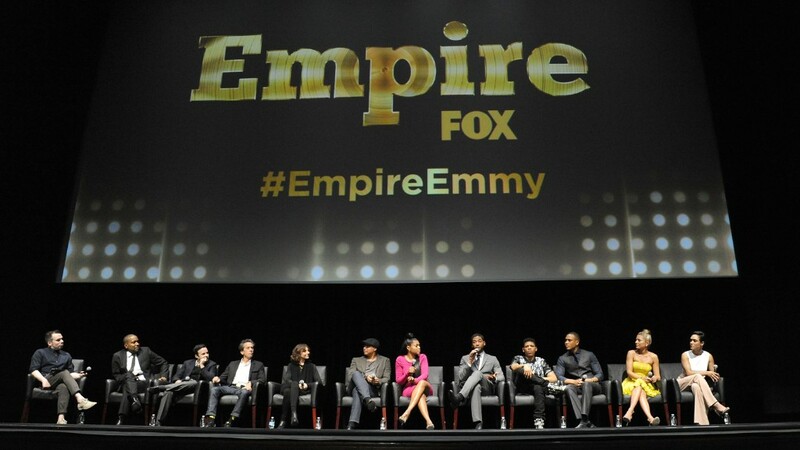 During Fox's annual Upfront presentation to advertisers, "Empire" reigned over the event with stars like Terrence Howard performing songs from the show to a packed house at New York's Beacon Theatre. At times, Fox's Upfront felt more like a celebration of "Empire" instead of an event for the network to sell ad time for its new programming. However, thanks to "Empire" Fox did have a lot to celebrate. The series, which premiered in January, was nothing less than a smash, growing in audience every single week and sending a jolt of life into the struggling broadcast network. Along with expansion, Fox also announced that comedian Chris Rock and musicians Alicia Keys and Lenny Kravitz will guest star next season. Other than "Empire," Fox also announced on Monday that the next season of "American Idol" would be its last. "What's right for this show is to send it off with style and class," Newman said of the departing singing competition. While Fox was bidding adieu to an old favorite it was also welcoming back another. To close out its Upfront, Fox brought actors David Duchovny and Gillian Anderson on stage to promote the return of Mulder and Scully for the upcoming reboot of "The X-Files." Series creator Chris Carter was also on hand to thank Fox for letting Mulder and Scully "continue their search for the truth." The cult favorite will have a two-night premiere event when it debuts after Fox's telecast of the NFC Championship on January 24. The opening episode of the renewed Sci-Fi classic should see a good boost in viewership, seeing that the NFL's NFC Championship game is one of the biggest TV audiences outside of the Super Bowl.